The Inside Trader App is a binary options trading software that claims to have over 1200 members that have combined to earn over $123 million in profits. According to the sales page traders can create a free account and earn $4500 in the first day. 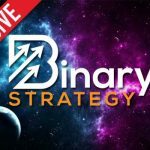 Today we will be providing a review so that the community understands the potential impact this trading system can have on the binary options market. The developer of the Inside Trader app is Alex Steele and the claims he’s making are ridiculous and unsubstantiated. Let’s take a look at some of the claims being made by the developers about their software. You can see that this list of claims is absolutely mad. Alex Steele is essentially just throwing numbers against the wall and hoping one of them sticks. None of these claims are proven. We are told we can make $6000 in a few hours, then we are told $4500. We are told there are 1231 members, then we are told there are over 8000. Each lie just contradicts the last lie we were told, and none of them are proven. As more and more products like the Inside Trader app hit the market we are noticing a disturbing trend. Developers are re-releasing the same software multiple times under different names, often using the exact same sales pages. In this case, we’ve seen this exact product under the name Nasdaq Inside Trader. My apologies in advance, I don’t have a review for that system but I assure you, it wouldn’t have been positive. It would surely find it’s way to the lowest rated binary options software table. What’s worse than fake testimonials? Nothing really. The Inside Trader app continues to disappoint with their usage of fake testimonials purchased from Fiverr. It’s really quite disappointing that developers like Alex Steele continue to go down this path. In the image on the right hand side you can actually see the exact same actor in multiple binary options releases lying through his teeth. With nothing but lies and deceit behind the Inside Trader app there’s no reason for you to consider this software. It’s truly a lost cause and it will only hurt your accounts if you make the mistake of signing up with them. If you have anything you want to add to the review please do so now. Please follow us on YouTube, Facebook and Twitter.